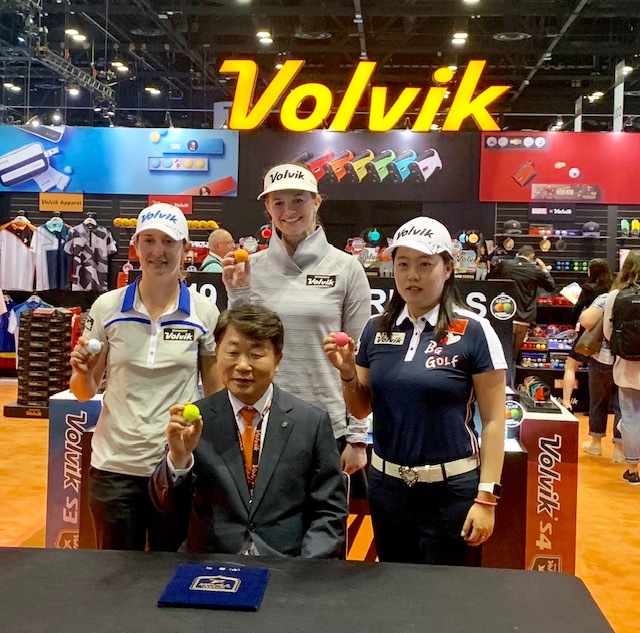 Volvik (volvik.com), known the world over for the outstanding performance characteristics and vibrant color options of its golf balls, has signed tour players Lindy Duncan, Becca Huffer and Rachel Liu to its Team Volvik roster. Lindy Duncan played collegiate golf at Duke University, where she recorded six wins, was a four-time first team All-American and was named 2012 NGCA Player of the Year. A member of the 2012 U.S. Curtis Cup team, she turned professional in 2013, playing on the Symetra Tour and earning LPGA membership for the 2016 season, during which she recorded her career-best T11 finish at the LPGA Volvik Championship. Since then, she has recorded five top-10 finishes in LPGA Tour events. Becca Huffer was the Notre Dame MVP in 2010 and 2012 and qualified for the U.S. Women’s Open Championship in 2012. She won the 2013 Colorado Women’s Open and the 2014 Michigan Women’s Open, and was a three-time winner on the Cactus Tour. On the Symetra Tour, she has recorded seven top-10s, including a season-best third-place finish at the 2017 PHC Classic. Rachel Liu was just the third player from China ever to win on the Symetra Tour, in 2017, when she led the Tour in birdies, with 239. In 2018, her rookie year on the LPGA Tour, she had three top-10 finishes, including a career-best major finish of T17 at the Ricoh Women’s British Open. Also last year she shot a career-low 63 in the second round of the Thornberry Creek LPGA Classic.